Undeniably, iTunes now is becoming one of the best media players and the handiest mobile application which has ever been developed. However, it is also the fact that we do have to pay for music from iTunes! It does costly! To save money, is there any way worked out to get free music in iTunes? Nevertheless, without any doubts, there is always a right solution to the corresponding problem! A most appropriate tool – Tunes Rebuilder, is especially designed to let you get free music in iTunes - free download songs from YouTube to iTunes. Then how to download songs from YouTube to iTunes exactly? Now, Tunes Rebuilder tells you! Tunes Rebuilder owns the enhanced features; it is as your personal music source and benefits you from getting free music from YouTube to iTunes in one step. Download it now and enjoy free music immediately! Launch the program, and switch Tunes Rebuilder interface to iTunes with Tunes Rebuilder taskbar beside by clicking the upper right last 4th button. Select "YouTube to iTunes". And then search your target music on YouTube from web browser and copy the music link. Thus, when you back to the program, the music link will be automatically pasted to the blank under "YouTube to iTunes". Click Download to start downloading. After the download is done, the music will be automatically converted to MP3, added music tags and album artwork, and added to “YouTube Downloads” playlist in iTunes. Though iTunes is one of the best media players, we prefer using our iPhone to enjoy music as it's more convenient. However, using iTunes to transfer music often make us feel painful, you may want to know how to do that easier. That's what I want to share to you the next. iMyFone TunesMate iPhone Media manager is a great tool to manage your music, video, photos, app and 10 more different files. It's highly spoken by much online media, like Getintopc, Geekreply, etc. Step 1: Download and install iMyFone TunesMate to your computer, then connect your device to it. 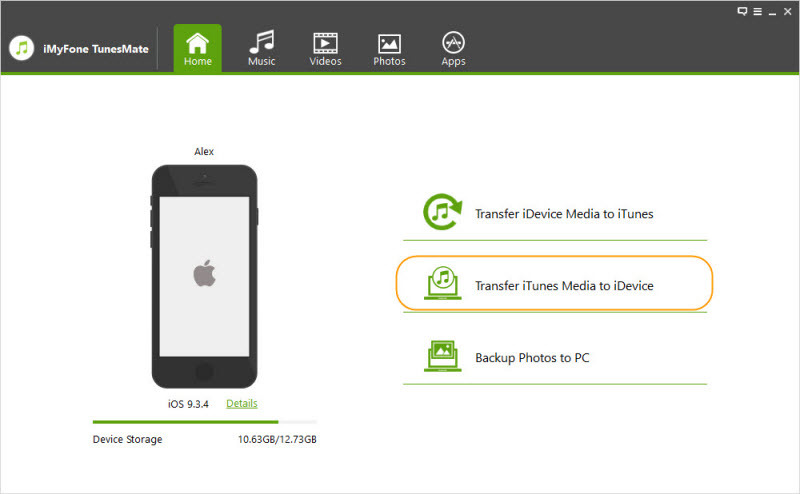 Step 2: After the software recognized your device, select "Transfer iTunes Media to iDevice" mode on the home interface. 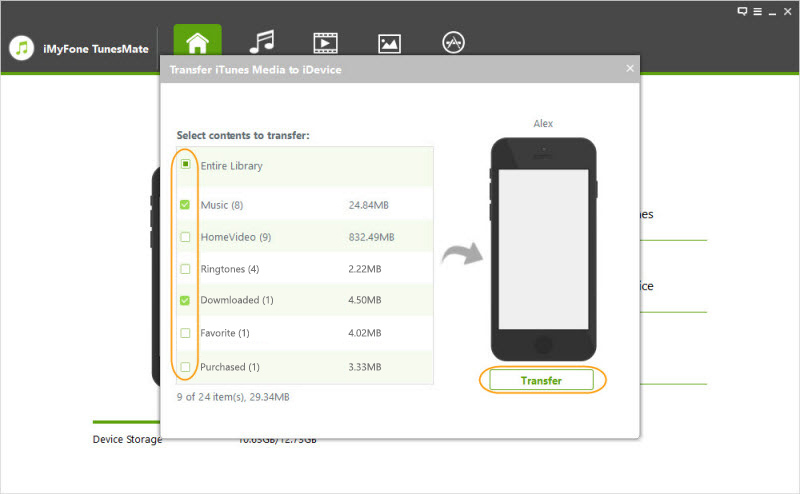 Step 3: Let the software scan out your music, then select the music you want to transfer, click "Transfer" and then "OK". After that, wait for a few minutes and your music will be transferred to your device. Transfer your Music from your iOS Device to iTunes/Computer and vice versa. Transfer your Music without opening iTunes. Non-purchased Music can also be transferred. Complete your Entire Music Library. Share Your iTunes Playlist with One-click.